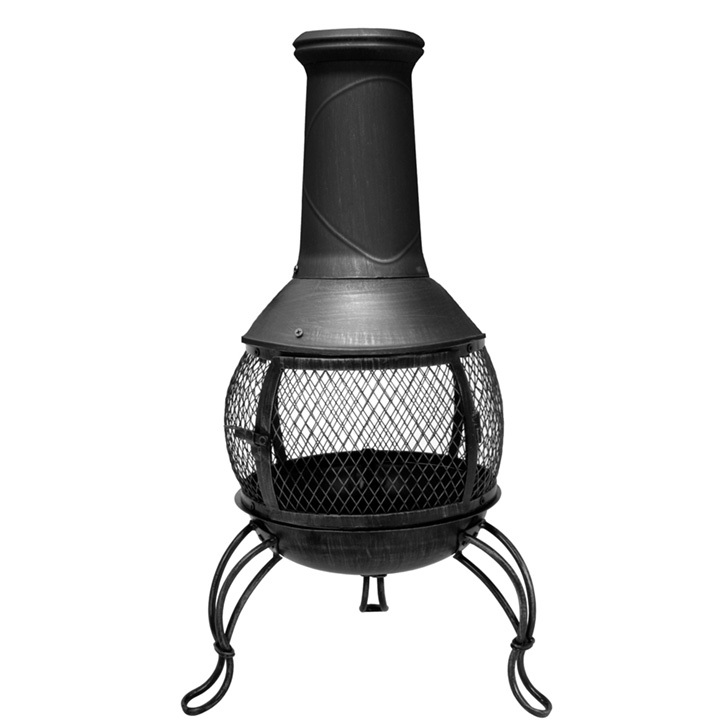 Feel the warmth on a cool evening in the garden with this La Hacienda Leon medium bronze steel chimenea that features a 360º open mesh design that allows heat to be radiated all around. This Leon chimenea has been manufactured from heavy gauge quality steel designed with a mesh belly, 3 supporting legs and a smoke controlled flume. 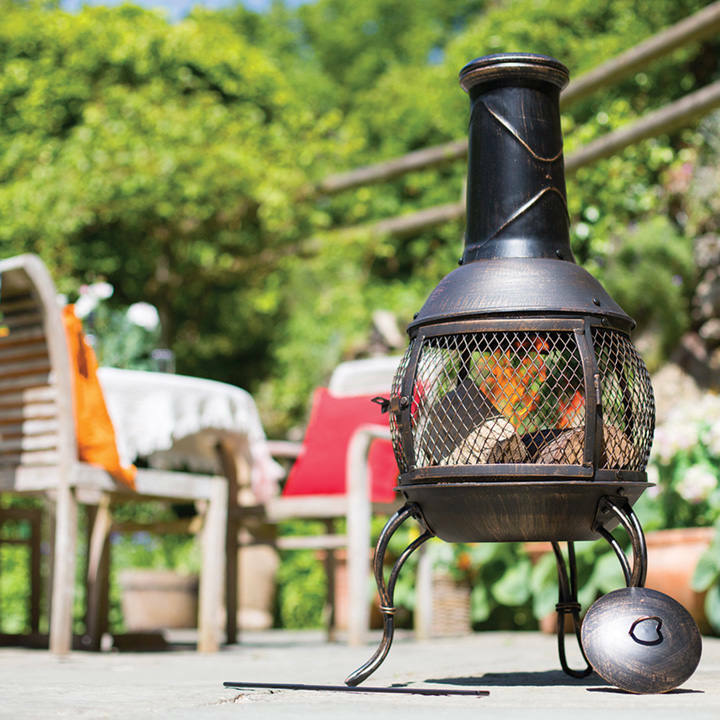 You can burn wooden logs, charcoal or even smokeless products inside the La Hacienda Leon medium bronze steel chimenea and you can enjoy the ambient heat being emitted all around. 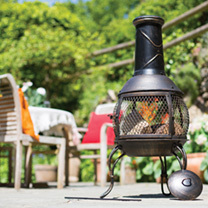 Perfect for heating your outdoor space, the Leon will ensure you stay warm when the temperature drops. Quick and easy to use, light a log fire in the body, sit close by and enjoy the ambience and heat provided. The mesh belly ensures efficient heat distribution, meaning the warmth and light can be appreciated from every angle. 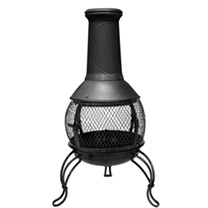 Add this chimenea to your garden and take the chill off those colder days and evenings spent in the garden.